Snowstorm Jonas is currently wreaking havoc in America’s south and mid-Atlantic and is climbing its way north and east, bringing with it crippling snow, heavy icing, damaging winds, coastal flooding, and “thundersnow.” Businesses are encouraging staff members to head home early and airports up and down the eastern seaboard are cancelling flights. If you do get on a flight, you might want to stock up on flu medications. Although this winter has been what experts call a “slow” flu season, it’s storms like Jonas that can tip the flu scales into high mode. Here’s why: when blizzards hit people stay inside. When people stay inside they spread more germs. No, you don’t “catch” a cold because it’s cold outside. You get a cold or the flu through viruses spread by germs. Days spent inside allow germs and viruses to spread more readily and easily and THAT’S why more people get sick in colder months. Schools also come into play as they are now in session; meaning kids are together and probably not so worried about spreading their germs. Viruses also spread more easily in dry air and cold weather has dryer air, so do heated homes. In warmer months, we tend to be outside more but “summer colds” are not uncommon, especially during rainy seasons in tropical places when people stay indoors. So far the U.S. has not seen a scary flu season like we have the past three years. Last year was especially bad as the flu vaccine that many received was not effective against the strain of flu that was going around. Although very rare, it could happen again. 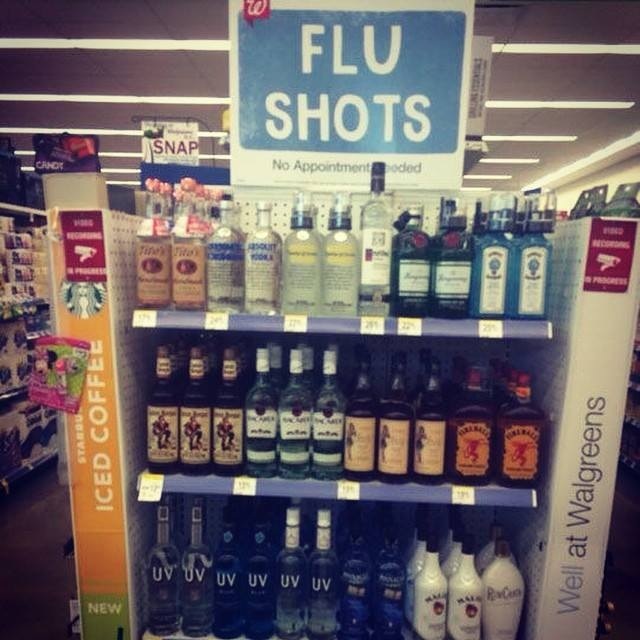 Most doctors agree that your best bet against getting the flu is getting the flu shot. 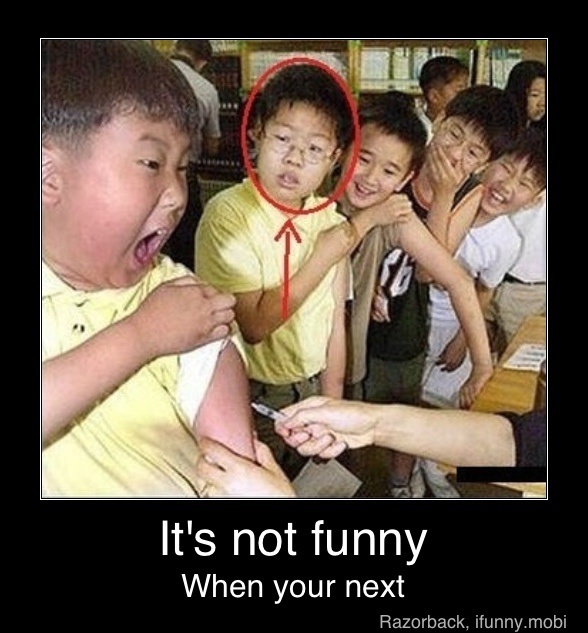 You want to get the vaccine before flu season hits, as you become protected about two weeks within getting the vaccine. Prevention is key. As an added bonus, the flu vaccine may reduce your risk of heart attack and stroke for a whole year. Here’s how: when you get the flu your body produces inflammation to fight it but too much inflammation can make your blood vessels unstable, which can result in heart attacks or strokes. If you do come down with the flu, drink plenty of water and get lots of rest are what most doctors “prescribe.” And although Tamiflu may relieve symptoms and even shorten your flu cycle, most doctors reserve it for patients who are really sick, vulnerable, or weak, such as those with immune disorders, the elderly, or pregnant women. The rest of us will most likely leave our doctor’s office without a Tamiflu prescription. As for how much water you should drink, most physicians say to divide your weight in half and get that many ounces of water each day…even when you’re not sick. In addition, even though grandma may be wrong about “catching” a cold if you go outside with wet hair, she is right about using a humidifier. Humidifiers help by keeping the mucous membranes in your nose moist, which relieves congestion. They also moisten the air, eliminating the aforementioned and dreaded dryair that viruses thrive in. I also like to use peppermint oil when I’m sick. Peppermint has menthol, which gives it that minty smell, and sniffing it is believed by some to “unstuff” a stuffy nose. It’s also relaxing. And from the TMI department, doctors interviewed by Redbook magazine say keeping your nose moist also keeps the tiny hairs inside of it called cilia, moist. These little hairs actually fight off viruses by preventing them from entering your body. They literally move around and act like a shield and they work best when they are moist. Who knew? 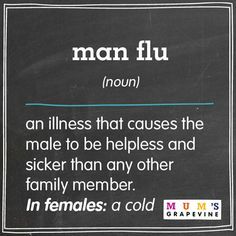 Since colds and the flu are passed by contact between people, please people, stay home as long as you can if you get sick and keep your kids home if they come down with something. No one wants someone hacking and moaning in the office or sniffling and sneezing in the classroom. Stay home and stay away from people. Once you are on the road to recovery, be sure to clean and replace. Clean your bathrooms, your sheets and towels, and replace things like toothbrushes and water bottles. Even though once you catch a particular strain of the flu you become immune to that strain for the rest of the season, others in your home could be infected and you could catch something else. It goes without saying that you should always cover coughs and sneezes with the inside of your elbow (not your hand, which in turn will spread the germs) and wash your hands often. That commercial currently on TV that shows someone sneezing out a blue cloud of air gunk in an elevator really demonstrates why. Think about it, everything that’s touched by someone has the potential of harvesting germs. This, of course, includes door knobs and elevator buttons, but also credit card machines at stores, pens to sign checks at restaurants, and seat pocket reading materials in airplanes. Yep, we’re back to the airplanes. So what about the seats themselves? I’m not even gonna go there. If Snowstorm Jonas has anything to say about it, millions of flyers may not go anywhere this weekend. Stay safe, stay warm, and stay healthy.